Sean N. Marchionte is the Manager and Principal of Bluedog Capital Partners, LLC. Richard R. Tasca, Esq. has an extensive 30-year history in multifamily and hospitality acquistion and development. As controller, Denise E. Schneider is responsible for the financial reports, budgets, and accounting for Bluedog Capital Partners. Katelyn M. Wright is Bluedog's most recent hire as Accountant and Head Bookkeeper. Patsy A. Culp is responsible for the company’s website design and development, social media presence, client communications, and creation of all marketing and reporting materials. Sean N. Marchionte is Principal and Managing Member of Bluedog Capital Partners, LLC. Upon graduating from Providence College, he embarked on a career in property management, making his initial foray in the parking and valet industry. In 1991 he founded City Parking & Valet Services, Ltd., a recognized and well-respected operator in the local trade. As a real estate entrepreneur, Sean went on to acquire a portfolio of residential and commercial properties, which eventually consolidated into Marchionte Properties and Marchionte Capital, LLC. In 1998, Sean met Richard R. Tasca and they began to work together on various parking and real estate ventures. Bluedog Capital Partners, LLC was formed in 2001 as a result of their successful collaboration. Through hard work, determination, integrity, and strength of character, Sean and Richard have cultivated excellent relationships with developers, bankers, accountants, attorneys and other best-in-class partners forming the platform for Bluedog Capital Partners, LLC to become a leading debt and equity resource for real estate operators and private alternative investments. Richard R. Tasca, Esq. began his career in 1980 as a tax and securities attorney in Boston, MA working with closely-held family companies and private real estate sponsors. He has an extensive 30-year history in multifamily hospitality acquisition and development. He has completed numerous alternative real estate investments as a joint venture partner with TPG Hospitality and Advenir, Inc., in the hospitality and multifamily space. He and Sean N. Marchionte formed Bluedog Capital Partners in 2001 and together have the seasoned resources and ability to underwrite, administer, operate and sell any properties owned or secured by Bluedog Capital Partners. Richard is a member of the Rhode Island, Massachusetts and Florida Bar Associations. Bluedog welcomed Kevin as the Director of Finance & Accounting in January 2018. In this new position, he is responsible for developing accounting systems and internal controls, reviewing all financial reporting packages to ensure their compliance with GAAP, and overseeing loan agreement standards. After graduating with a bachelor’s degree in accounting from Assumption College, he began working for the regional public accounting firm of DiCicco, Gulman & Company, LLP while simultaneously earning his Master of Science in Accounting degree from Northeastern University. He quickly advanced to the role of Senior Accountant within the company’s Real Estate Group where he provided both audit and tax services to many real estate clients. From there, he went on to The RMR Group LLC and eventually assumed the role of Director of Financial Reporting. In this position, Kevin oversaw the SEC reporting process for a $7 billion publicly traded healthcare REIT, worked closely with senior management, liaised between public accounting firm auditors and the company, and implemented processes and procedures for a new business segment that assisted in the company’s $3 billion growth in a five-year time span. Kevin brings a wealth of reporting knowledge to Bluedog Capital Partners along with a forward-looking and positive attitude. He is excited to utilize his previous experience in an effort to advance Bluedog’s presence in the private lending and development spheres. Denise joined Bluedog Capital Partners in September 2012. As the Director of Project Development, Asset Management & Tax Policy, Denise is responsible for the financial reports, budgets, and accounting for Bluedog Capital Partners. She also provides related administrative services to affiliated entities and investors. Denise, an accounting graduate of the University of Massachusetts Dartmouth, came to Bluedog from the public accounting firm of Hauge, Sahady & Co. located in Southeastern Massachusetts. During her tenure in public accounting, Denise was able to gain valuable experience in taxation, financial statement preparation, and GAAP compliance. This expertise, combined with her strengths in organization and insight into managing the financial needs specific to partnership entities, enabled her to achieve seamless integration in controlling the financial operations of Bluedog Capital Partners. An outgoing and natural leader, Denise has assembled a team committed to excellence in financial management. Her team has a proven record in the administration of Bluedog's business. Daniel joined Bluedog Capital Partners in June 2015 as Senior Accountant and has since grown in to the role of Accounting Manager. A graduate of the University of Rhode Island's College of Business, he began his professional career in public accounting at Andsager, Bartlett, & Pieroni, LLP where he gained valuable experience in real estate accounting by serving as an auditor to the company’s real estate clients. He later used his accounting knowledge along with his passion for investing to co-found and operate a stock options trading company before deciding to join Bluedog. Daniel is responsible for a wide variety of tasks spread across several of our business ventures. He oversees all day to day operations of the lending platform including cash management, loan fundings, investor payments and reporting. He handles the bookkeeping, investor distributions and reporting of our equity investment portfolio, which includes 25 entities invested in hotels and apartment complexes. He is also responsible for many other tasks including bank reconciliations, review and approval of accounts payable and the setting and maintaining of accounting policy. Daniel has proven to be a valuable asset to our company. He is a true leader whose passion and work ethic has been a positive impact on the Bluedog team. Bluedog Capital Partners welcomed Idaris as a Staff Accountant in March 2017 where she has excelled in matters of accounting including the streamlining of financial reports, bank reconciliation, accounts payable and the management of our property tax database. After graduating from Curry College with a degree in accounting, Idaris launched her professional career in corporate accounting with Bank of America where she consulted on developing financial models and assisted with the tracking of the sales team performance. She later worked as a financial analyst at CVS and spent time at Santander Bank. There she oversaw staffing levels and created training documentation as well as monitored and analyzed the daily activity of the contact center. Idaris’ ability to quickly adapt to challenging situations along with her willingness to take on a variety of responsibilities has been beneficial to the continued growth of the company. 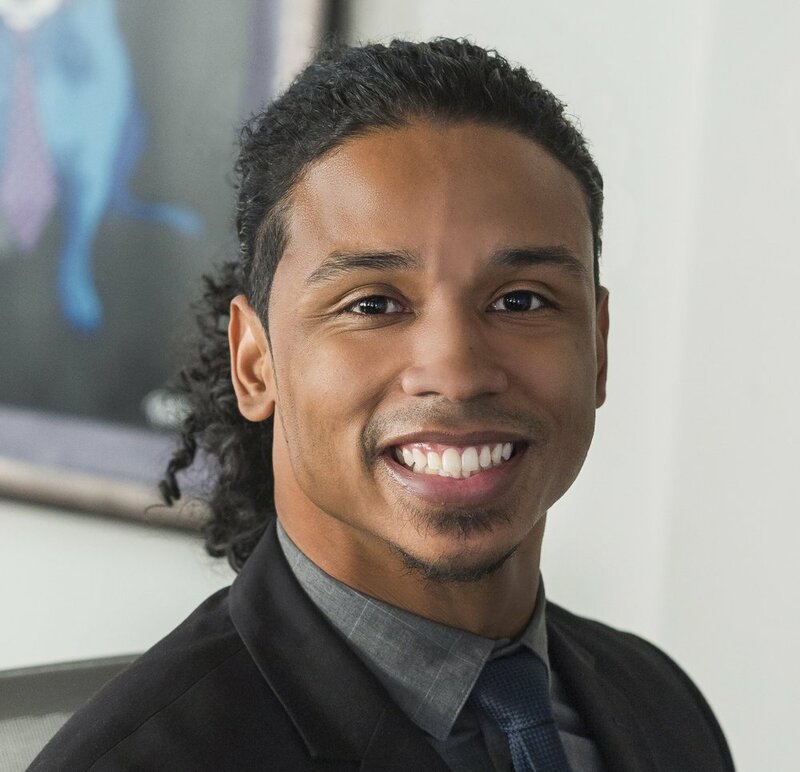 Bryan began his tenure with Bluedog Capital Partners as a Staff Accountant in August 2017, where he inherited the management duties of the company’s loan portfolio. His responsibilities include the timely and efficient processing of loan funds, construction advances and investor payments. Upon receiving his bachelor’s degree in Accounting from the University of Rhode Island, Bryan spent time at CVS Health where he worked to ensure the accurate reconciliation of CVS inventory and resolve billing inconsistencies. From there, he transitioned into accounts receivable for Samonsite and quickly advanced to the position of Senior Accounts Receivable Specialist where he was the team lead for business acquisitions and was responsible for developing and delivering in-depth financial reports and managing the training of new hires across three platforms. Bryan’s acute focus and attention to detail has already proven to be a tremendous asset to Bluedog Capital Partners. He looks forward to using his experience to assist with the continued growth of the business. Sarah joined Bluedog Capital Partners in August 2013 as an Office Assistant and has since grown into the role of Acquisitions, Project Development & Investor Relations. Her duties within the company expand across a multitude of platforms and include market research, deal sourcing, underwriting analysis, development, vendor and contractor coordination, the execution and management of investor communications and private capital liaison. Prior to joining Bluedog, Sarah worked as a leasing professional for RAM Partners, LLC, in which she oversaw customer relations, financial logs, marketing campaigns and social media. Her previous experience also includes time spent as the Vice President of Customer Relations and Marketing Director for KM Wealth Management. During her tenure, she managed all internal and external communication including public relations and advertising and developed her passion for event coordination. Equipped with 13 years of customer service experience Sarah is excited to assist in the growth of Bluedog Capital Partners, LLC. Her professional experience paired with her ability to effectively communicate financial information occupies a strategic role within the Bluedog team. 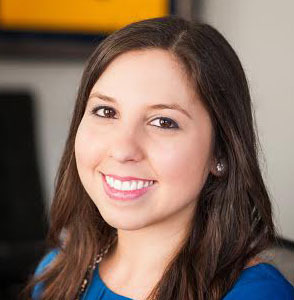 Lindsay joined Bluedog Capital Partners as the Marketing Director in December 2014 and brings her experience in journalism and public relations to the position. In the role, she manages client correspondence, assists in the underwriting and packaging of loan deals, develops marketing collateral, oversees the company website and social media pages, and facilitates property management documentation. Lindsay received two bachelor’s degrees in history and multimedia journalism from Florida Atlantic University along with a master’s degree in broadcast journalism from the UK. After moving to Rhode Island, she spent time at Weber Shandwick in Boston where she worked on behalf of clients including McCormick, Vlasic and Nestle Waters. There, she developed a firm understanding of digital media marketing and the importance of building strong professional relationships. Lindsay is excited to utilize her varied media background and passion for people to develop the role of Marketing Director at Bluedog Capital Partners. Amanda assumed the role of Marketing Coordinator in December 2017 after attaining her bachelor’s degree in Marketing from Quinnipiac University. Her wide-ranging knowledge of marketing strategies coupled with her entrepreneurial spirit has enabled her to assist in all matters of the company’s creative sector. She previously spent time in social media marketing for one of Los Angeles’ top wedding planners where she was responsible for developing content to drive traffic to the business’ social pages. She also oversaw the collection of event photos that were later utilized for marketing campaigns. Amanda then transitioned into the role of Administrative Assistant for the talent agency, The Green Room which strengthened her business acumen. There, she managed the company’s internal database, catalogued the talent submissions, and conducted client correspondence. Bluedog Capital Partners looks forward to having Amanda expand our creative presence and further develop our lending platform. Kimberlyn signed on with Bluedog Capital Partners in October 2016 and has been essential in redeveloping the role of Office Manager. Her background in banking and customer service have proven to be invaluable in managing her responsibilities which include the supervision of all incoming mortgage and rental payments, ensuring all insurance policies are current and correct, assisting with the review and maintenance of property taxes, and procuring office equipment vital to the efficiency of BCP. Kim's bilingual ability has also proven to be an effective resource. Most recently, Kim worked within the Student Lending sector of Citizen's Bank where she developed a strong knowledge of lending practices and federal regulations as well as provided technical support to clients, oversaw the service levels on incoming sales and cultivated new business leads. A natural people person, Kim has demonstrated a strong sense of professionalism and adeptness and looks forward to growing with the company. Dawn came to Bluedog with a well-versed background in business administration after having spent more than 10 years working as an Office Manager at a well-established financial institution. During her time in that role, Dawn provided comprehensive support for senior-lead staff, including management of processes in support of effective business operations. Dawn has a proven track record of accurately maintaining detailed records and multitasking within a fast- paced atmosphere. She is adept at managing administrative processes to reduce errors, improve accuracy and efficiency, and achieve organizational objectives. Dawn has also lived out the role of Customer Service Manager at a premier retail space and had consistently achieved record-high customer satisfaction rankings during her time in this role. Bluedog is confident that Dawn will be a great asset to the team and looks forward to her growth within the company. Zhiting is a graduate of the University of Massachusetts, Boston where she received her Bachelor of Science degree in Management and Finance. She began her career as a Portfolio Administrator at State Street Corporation and later joined J.P. Morgan in 2007 where she worked as a Regulated Investment Companies (RIC) Tax Specialist. Subsequently, she began working at Granite Telecommunication as a Tax Associate, verifying $5 million in tax and service fees on a monthly basis, in addition to resolving federal, state and local tax notices and audits. In 2011, Zhiting began consulting Chinese investors with U.S. immigration matters on suitable EB-5 investment projects such as hotels and hospitals. She also aided in preparing immigration documents.